A salary certificate is a basic proof for employees regarding where they are working and what is their designation and how much salary they are getting. 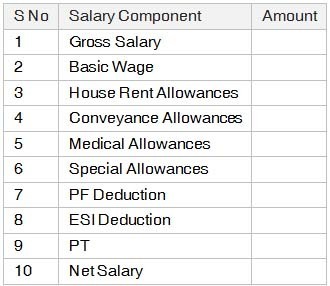 We all know that salary certificate consists of details of earnings, allowances and the deductions, but it also a proof of employee designation. Some times employees need salary certificate letter on company letterhead, for example whenever an employee apply for a new job or whenever an employee applies for a bank loan, etc. 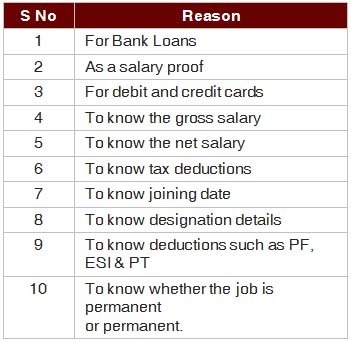 Here you can find some best and simple salary certificate formats to whomsoever it may concern. Salary certificates will be issued by the Human Resource (HR) departments or finance departments in every organization. They will give the employee a salary certificate printed on company letterhead. The printed copy of salary certificate needs attestation of authorized signatory along with the office seal. The salary certificate should consist of the complete salary details of the employee, designation, and better to mention the purpose for which the salary certificate is issuing (based on the request of the employer). Before printing salary certificate check whether all the necessary details are mentioned or not. The salary certificate should be clear and need to be written in a well-structured format. 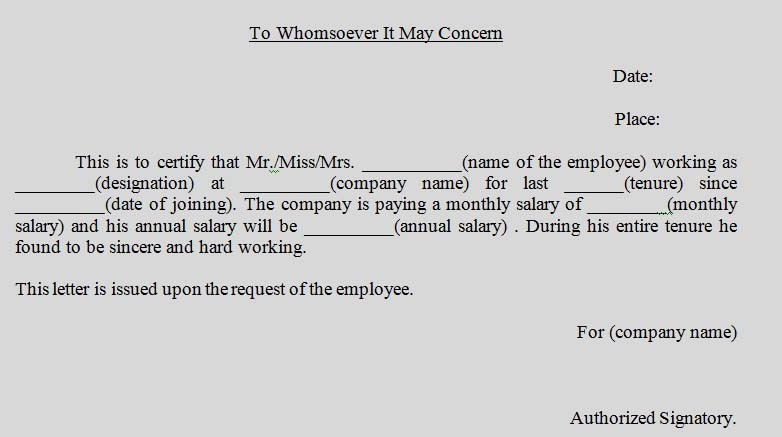 This is to certify that Mr/Miss/Mrs __________(name of the employee) working as ________(designation) at _________(company name) for last ______(tenure) since _________(date of joining). The company is paying a monthly salary of ________(monthly salary) and his annual salary will be _________(annual salary) . During his entire tenure he found to be sincere and hard working. This letter is issued upon the request of the employee. This is to certify that Mr __________(name of the employee) S/O ________ (father name) residing at _________(address) has been working withus for last _______(tenure). His monthly net pay scale is _________. During his tenure he found to be sincere and loyal. This letter is issued upon the request of the employee for the purpose of a bank loan.